We absolutely pride ourselves on the community feel we create with our members and with each other. In fact, it’s one of the most important things our members appreciate about us too! If you want to feel more than just a number, come to BFT where you’ll immediately feel part of something special! “Sometimes ambition bears no limitation”. 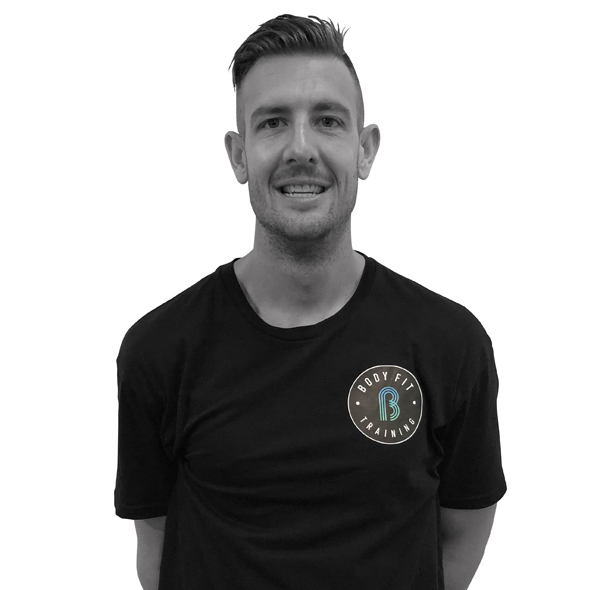 Ramsey is a qualified strength and conditioning coach with over 8 years gym experience running gyms and health clubs. He played soccer at junior and senior levels via VIS, represented state and country at Under 17 level, and enjoyed many seasons in the National Premier League. Helping members achieve goals they never thought imaginable is the main reason Ramsey enjoys BFT so much! “Setbacks only make you stronger”. 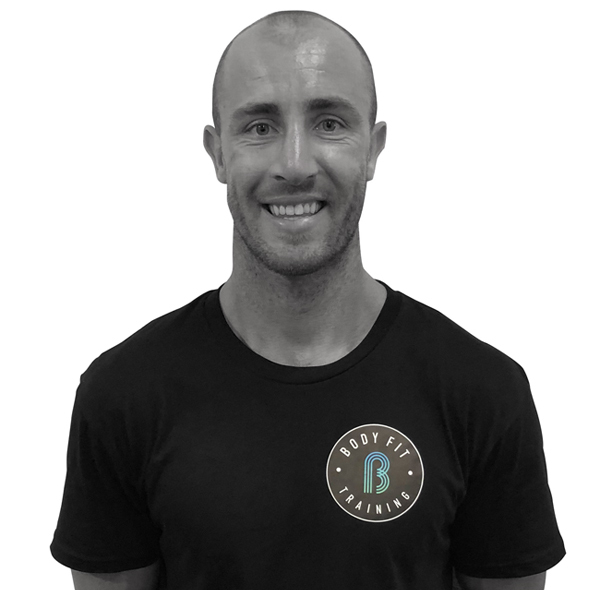 After recently retiring from a 10 year AFL career with Port Adelaide and Richmond Football Clubs, Matty is keen to share his knowledge and passion for fitness! He has battled through many setbacks and injuries throughout his career but contributes his success to his education, hard work, and passion. 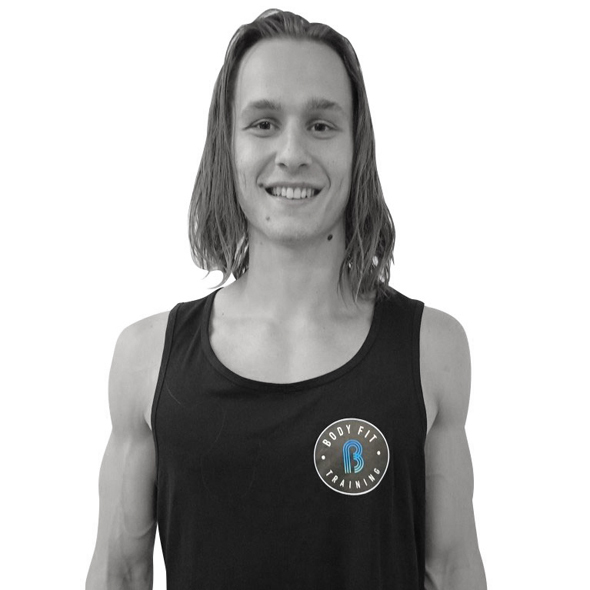 Matty loves working with the BFT members to inspire them to reach their fitness potential. “Consistency is what transforms average into excellence”. Rhys has always loved being active and enjoys the physical and social benefits of exercise. 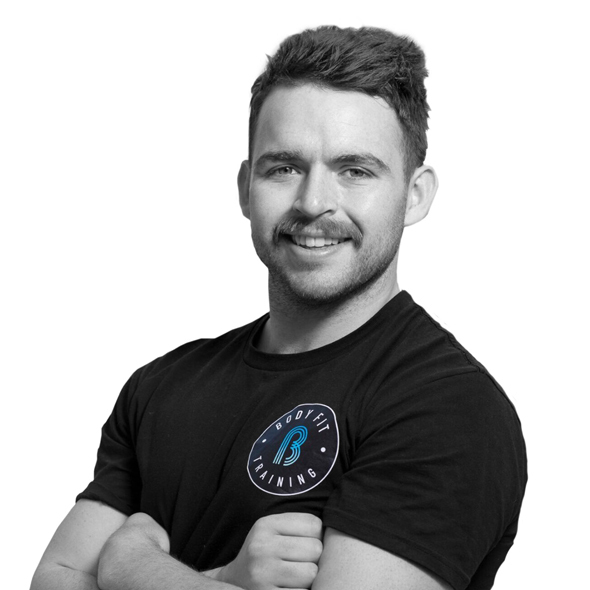 After 2 years of an Exercise Science Degree, Rhys decided to branch out to the fitness industry helping others to achieve their health and physical goals. He is most excited about the community we currently have and continue to build at BFT, along with BFT’s world class, progressive programming. 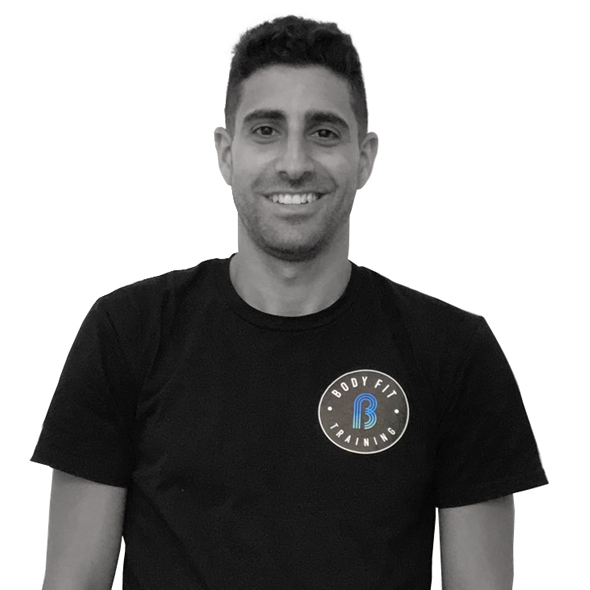 Joel has always had a passion for sport and fitness with an underlying goal of owning his own gym. He believes the best thing about being in the industry is helping people become the very best version of themselves. 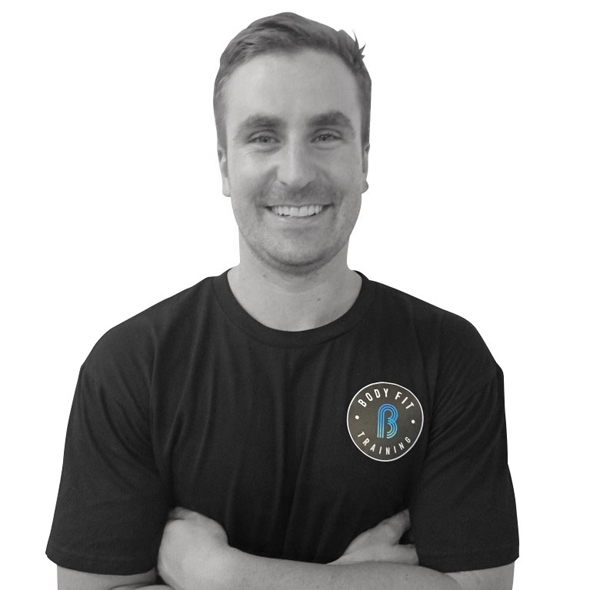 Joel loves that BFT brings the variety and intensity of athletic training into a sustainable model that can be suited to, and adapted for, anybody. Codey has been in the fitness industry for 6 years and has experience coaching and training both in Australia and in the UK. He has always loved fitness through his competitive swimming and rugby union background. 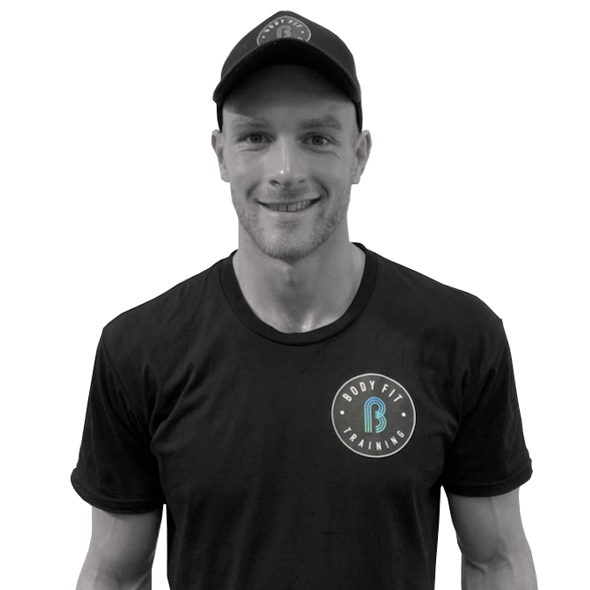 Codey loves seeing BFT members improve day by day, and likes to take members on a journey… ensuring they enjoy the process of fitness being a work in progress! 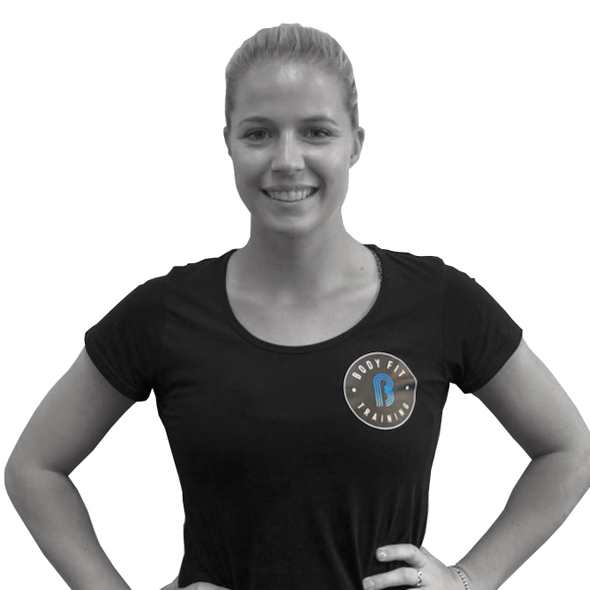 Lauren is a qualified pilates, boxing and fitness instructor in her third year of a Ba.Exercise and Sports Science. She is fascinated by the science of human movement and how it applies to all types of people- not just athletes. She loves that BFT promotes moving well and often which makes a positive difference by preventing injury, increasing energy and developing self-awareness but most of all because it’s fun! Danny has a BSc in Strength and Conditioning and FdSc in Sports Performance and has a wealth of practical knowledge having already worked in a professional rugby environment for 5 years. What he loves about BFT is the close knit community feel between coaches and members. Danny loves going to the gym and improving someone’s training session any way that he can. “Strive for progress not perfection”. Chloe was a full time accountant turned fitness professional. Chloe’s passionate about fitness: “It’s one thing to look good, but you need to feel good on the inside too”. She finds that she feels so much better physically and mentally when she works out. 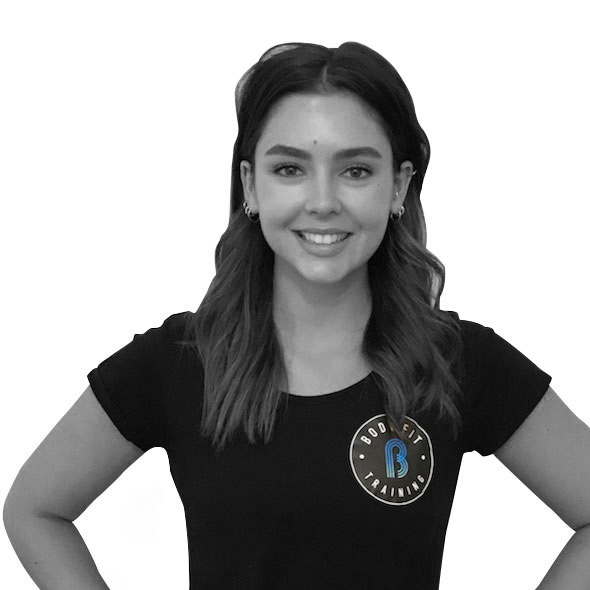 And as for BFT… Chloe loves members supporting each other, the wide variety of classes with progression, and that it feels like family. “Before you try to quit, remember why you started”. 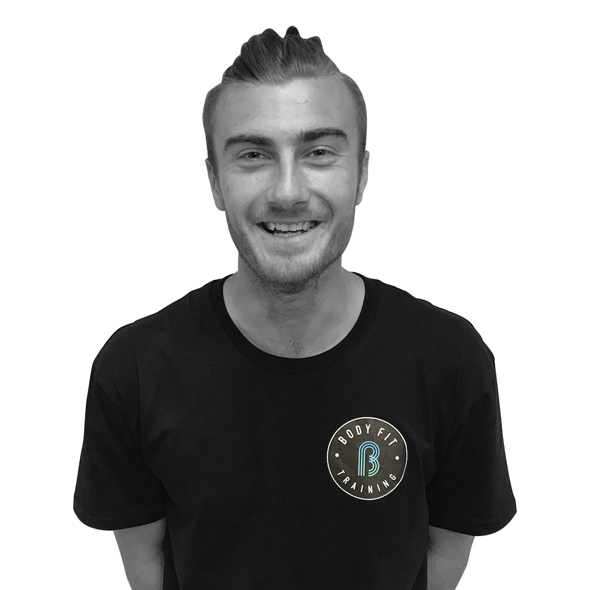 With a Sport and exercise science major from Auckland University of Technology (AUT), Dylan’s passion for fitness stems from his passion for Football (soccer). 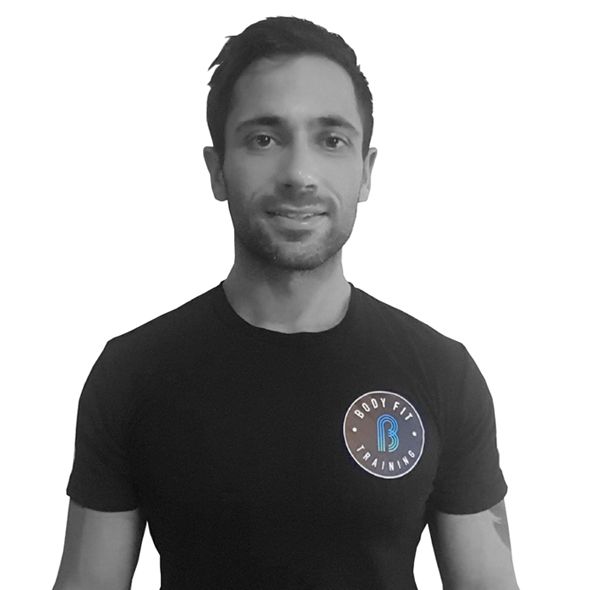 He loves to see clients achieve a change in fitness and lifestyle… and he loves BFT because it brings the science of strength and conditioning from elite athletes to the general public whilst creating a community. He also loves to push you hard! “Failure isn’t the end of the road, just a lesson needing to be learnt”. Kadeem is an experienced trainer who in the past has focussed on training junior-elite to semi-professional athletes from several sports. As a competitor on Australian Ninja warrior, he knows what it’s like to love training so he can constantly push boundaries. If you want someone to challenge you – look no further! 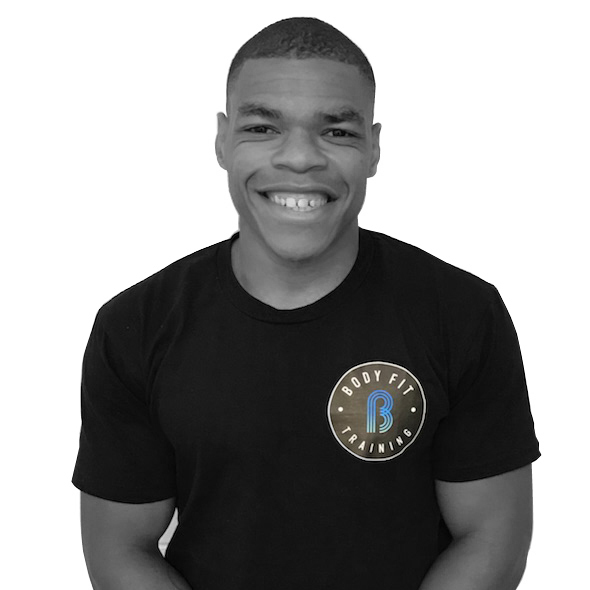 Kadeem particularly loves the community at BFT… “ we have great trainers and members!”. 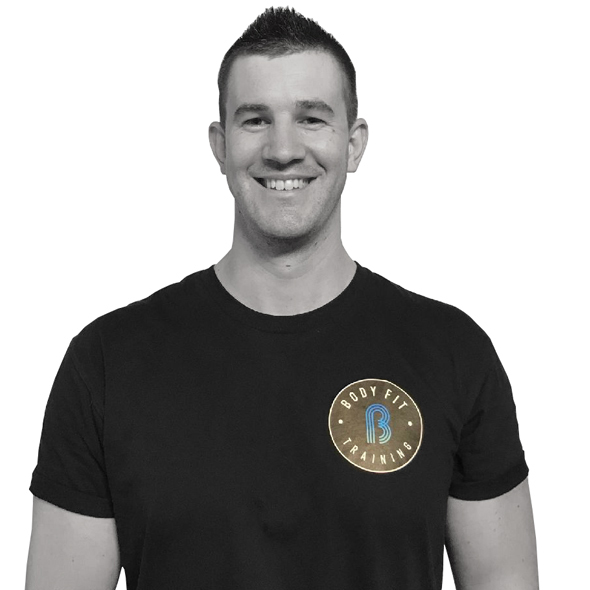 Andrew’s come from an elite sporting background as an AFL player for Richmond and Port Adelaide FC, and has transitioned to the fitness industry and BFT easily given he is fanatic about fitness and the positive results it gives to the body and the mind. He loves passing on his skill and knowledge to BFT members and seeing people get results with a smile on their face! Cameron’s now into his third year of personal training and has loved every minute. He’s incredibly passionate about fitness and helping people achieve their goals… and it’s this motivation that makes waking up before the sun rewarding! Cam loves the BFT environment and specifically that it uses scientific methods to improve functional strength and fitness. And he loves being a part of the first BFT to hit Queensland! “Keep on doing what you do. Take a look inside the BFT community. Don’t be shy – get social with us on Instagram or Facebook.